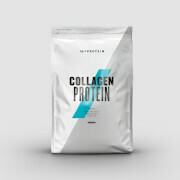 An exciting formulation delivering an amazing seven different types of protein (Whey Protein Concentrate, Whey Protein Isolate, Hydrolysed Whey, Milk Protein, Micellar Casein, Calcium Caseinate and Free Range Egg White Powder) to ensure you receive a constant supply of amino acids throughout the day - ideal for supporting all kinds of fitness goals. 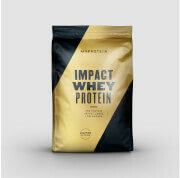 The high protein content of each serving (20g) contributes to the growth and maintenance muscle mass, and the use of both fast- and slow-release proteins means this product can be used anytime of the day or night, to give you that boost of protein when you need it most. We recommend consuming Total Protein first thing in the morning to fuel your day or pre/post training to support recovery. Have it with water or milk as a refreshing and replenishing protein shake, or combined with your favourite smoothie recipes, porridges and Greek yoghurts. Strawberry Cream Flavor: Whey Protein Concentrate (Milk, Soy) (47%), Whey Protein Isolate Powder (Milk, Soy) (12%), Hydrolysed Whey Protein (Milk), Natural and Artifical Flavoring (Natural and Artifical Flavoring, Sweeteners (Sucralose, Acesulfame K), Juice (Color)), Milk Protein Concentrate (Soy), Micellar Casein (Milk, Soy), Calcium Caseinate (Milk), Egg White Powder (Eggs). Salted Caramel Flavor : Whey Protein Concentrate (Milk, Soy) (47%), Whey Protein Isolate Powder (Milk, Soy) (12%), Hydrolysed Whey Protein (Milk), Natural and Artifical Flavoring (Natural and Artifical Flavoring, Sweeteners (Sucralose, Acesulfame K)), Caramel Color (Color), Milk Protein Concentrate (Soy), Micellar Casein (Milk, Soy), Calcium Caseinate (Milk), Egg White Powder (Eggs). Cinamon Roll Flavor: Whey Protein Concentrate (Milk, Soy) (47%), Whey Protein Isolate Powder (Milk, Soy) (12%), Hydrolysed Whey Protein (Milk), Natural and Artifical Flavoring (Natural and Artifical Flavoring, Sweeteners (Sucralose, Acesulfame K)), Caramel Color (Color), Milk Protein Concentrate (Soy), Micellar Casein (Milk, Soy), Calcium Caseinate (Milk), Egg White Powder (Eggs). Chocolate Smooth Flavor: Whey Protein Concentrate (Milk, Soy) (45%), Whey Protein Isolate Powder (Milk, Soy) (12%), Hydrolysed Whey Protein (Milk), Cocoa Powder, Natural and Artifical Flavoring (Natural and Artifical Flavoring, Sweeteners (Sucralose, Acesulfame K), Salt), Milk Protein Concentrate(Soy), Micellar Casein (Milk, Soy), Calcium Caseinate (Milk), Egg White Powder (Eggs). 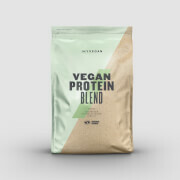 Mocha Flavor: Whey Protein Concentrate (Milk, Soy) (49%), Whey Protein Isolate Powder (Milk, Soy) (12%), Hydrolysed Whey Protein (Milk), Cocoa Powder, Natural and Artifical Flavoring (Natural and Artifical Flavoring, Sweeteners (Sucralose, Acesulfame K), Milk Protein Concentrate (Soy), Micellar Casein (Milk, Soy), Calcium Caseinate (Milk), Egg White Powder (Eggs). Vanilla Flavor: Whey Protein Concentrate (Milk, Soy) (47%), Whey Protein Isolate Powder (Milk, Soy) (12%), Hydrolysed Whey Protein (Milk), Natural and Artifical Flavoring (Natural and Artifical Flavoring, Sweeteners (Sucralose, Acesulfame K), Milk Protein Concentrate (Soy), Micellar Casein (Milk, Soy), Calcium Caseinate (Milk), Egg White Powder (Eggs). The nutritional information is based on the Salted Caramel Flavor version, when choosing an alternative flavour the nutritional values may vary.